The Meating Place recalled 5 lb. 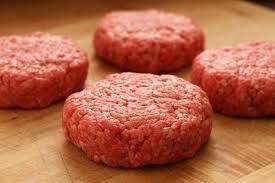 boxes of ground beef patties after FSIS inspection revealed a high risk of E. coli O157:H7 contamination. The U.S. Department of Agriculture’s Food Safety and Inspection Service (FSIS) has announced a recall of an undetermined amount of ground beef products sold by Publix Super Markets, Inc. The grocery store, based in Lakeland, Florida, sold the ground chuck between June 25, 2018, and July 31, 2018. Eighteen people have reported illnesses during the month of July that are apparently related to consuming ground beef products that were contaminated with e. coli. Health officials continue to investigate the source of the ground chuck and the e. coli contamination. Most of the consumers who became ill were from Florida. The recall affected a number of ground beef products that had been distributed to Publix stores in 24 Florida counties, including ground chuck, burgers, meatballs, sliders, grillers, and stuffed peppers. People can become ill from Shiga toxin-producing e. coli (STEC) 2–8 days (average of 3–4 days) after exposure to the organism. Most people infected with STEC O26 develop diarrhea (often bloody) and vomiting. Some illnesses last longer and can be more severe. Infection is usually diagnosed by testing of a stool sample. Most people recover within a week, but rarely, some develop a more severe infection. Consumers who have purchased ground chuck products from Publix between June 25, 2018, and July 31, 2018, should not eat them but should either dispose of them properly or return them to the store where they were purchased. For more information about the Publix Super Market ground beef product recall and about the effects of e. coli contamination, please contact the Cargill E. coli Lawsuit lawyers at 1-888-335-4901.